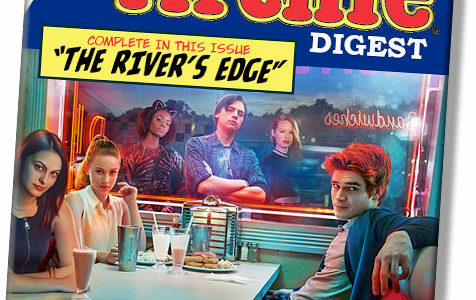 The first Archie Digest podcast discusses the premiere episode of The CW television series Riverdale. 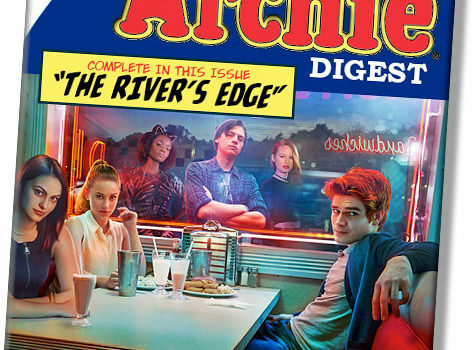 After some minor setbacks at getting it posted, KSiteTV is proud to present the very first of hopefully many installments of what we’re calling the Archie Digest — an ideally-weekly trip recapping and discussing the world of Riverdale. Riverdale airs Thursday nights on The CW, and of course Archie Digests are what introduced most of us to this world of fantastic characters. Participating in the podcast for Episode 1 are KSiteTV’s own Craig Byrne; ComicBook.com Senior Staff Writer Russ Burlingame; and Screener journalist and Waterworld enthusiast Chris Hayner. Because of our technical delays, we [of course] predict the series premiere ratings for which we were really wrong, and we refer to “you probably just finished;” ignore that. Who killed Jason Blossom? Betty or Veronica? Is Miss Grundy creepy? How would we rate the show on a scale of 1 to 5 Hot Dogs? 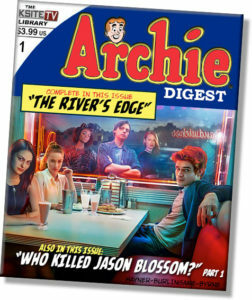 These topics and more are all discussed in the first Archie Digest, where we digest the latest happenings in the world of Archie. You can listen below. Also, come by our Riverdale forum to talk about the show here at KSiteTV!